Dr. Edward Evans was born in Tacoma, Washington. He served an LDS mission in Japan. Dr. Evans is an honors graduate of Brigham Young University and received his M.D. from Chicago Medical School in 1988. He completed his residency training at the U.S. Naval Hospital in Portsmouth, VA. He was awarded the Navy Achievement Medal twice for his clinical work at Camp Pendelton and his work with the Migrant Women's Health Care Team at Guantanamo Bay, Cuba. Dr. Evans specializes in the diagnosis and treatment of female urinary/incontinence problems, high-risk obstetrics, and infertility. 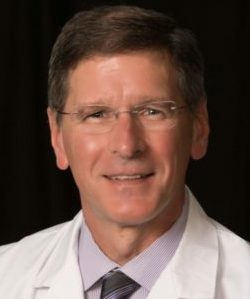 Dr. Edward Evans is Board Certified by the American Board of Obstetrics and Gynecology and is a Fellow of the American College of Obstetricians and Gynecologists. He is fully trained on the Geneveve by Viveve.